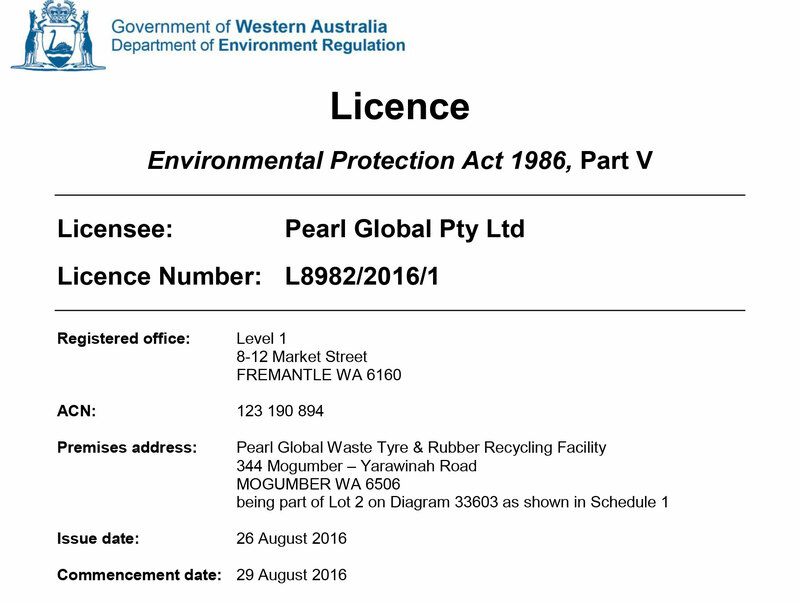 Pearl Global has been granted a full commercial operating licence under the Western Australian Environmental Protection Act (1986). The licence is the first of its kind in Australia for tyre recycling, and will enable Pearl Global to operate its plant at Mogumber while meeting strict environmental standards. Pearl Global Executive Chairman Gary Foster said he was unaware of any other company having a licence in Australia to commercially process tyres. “We believe Pearl Global’s tyre conversion process is the only one with emissions well under the world’s strictest environmental standards, and the only one approved under the respective state regulations within Australia,” he said. The technology, which uses thermal desorption to convert tyres in a low emission environment with no hazardous by-products, is licensed to Pearl Global on an exclusive, worldwide basis. Read More about the Department of Environment here. © Copyright Pearl Global 2019.